Scale: 570, Top: solid spruce, Back: solid maple, Neck: maple, Fingerboard: rosewood, Rosette: wood marquetry. This size is recommended for children 8-12 years. 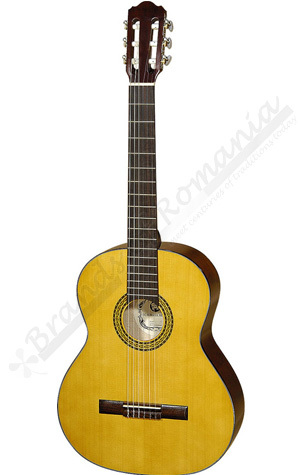 Size: 3/4, Scale: 570, Top: solid spruce, Back: solid maple, Neck: maple, Fingerboard: rosewood, Rosette: wood marquetry. Size 3/4 is recommended for children 8-12 years.